Hello there folks. It’s 2018 and looks like it’s going to be another year travelling America, this time going a bit further north, a bit wilder and a bit more daring – we are going to ALASKA! 20th May – Depart Dublin International Airport. Spend 9 hrs in the plane and arrive in Seattle, WA approx. 17:30 hrs local. 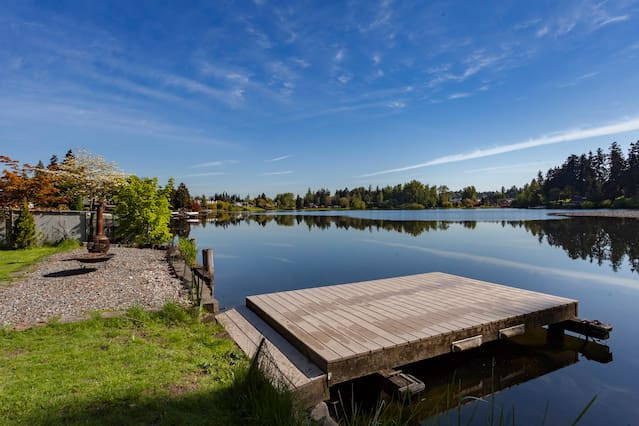 Check-in to our Airbnb rental and take in the views across the lake and hopefully get to absorb some of the Seattle atmosphere while we unwind from the long flight. The only reason we are doing this is to break up the journey from Europe to the other side of North America so that I don’t turn up wrecked and jet lagged for the wedding. 21st May – Visit downtown Seattle. Chinatown. Visit the Space Needle. Pike Place Market and possibly (if we have time) the Seattle Aquarium. We only have one full day to spend in Seattle so we better make the most of it. I also need to throw in a MANDATORY visit to Sephora and shop for all my favourite cosmetic brands that I cannot get in Ireland. I have been saving up money coz I KNOW I am going to be broke as hell after my visit. I will attempt to be good and shop responsibly with a list (…yeah right). 22nd May – Late morning flight out of Seattle en route to Juneau. Very exciting day this will be as I have been told to book seats on the right side of the plane on the way up north for the views. Will arrive in Juneau approx 14:30 hrs. Pick up the SUV and then head on towards our hotel for the week – we’re staying at the Westmark Baranoff Hotel, as will the majority of the wedding party. Our time in Juneau will mostly be taken up by wedding things as this will be a 3-day affair. 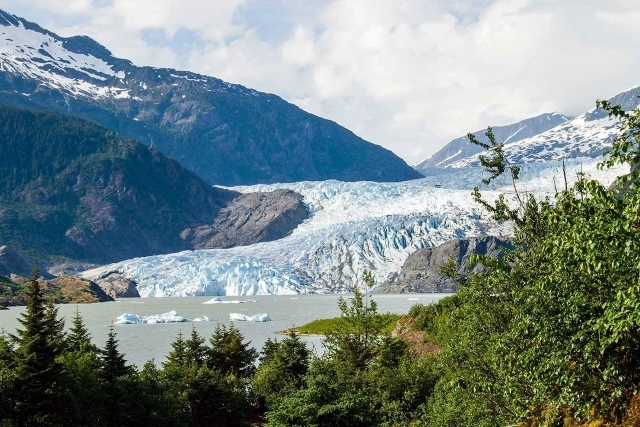 However, we are assured engagements will only take place during the evenings which will leave us free during the day to explore and absorb the many sights and sounds Juneau has to offer. I will have my Passport to America’s National Parks book at the ready for stamps! 23rd May– Booked a (f**king expensive) tour out of Juneau to Admiralty Island to see Grizzly Bears in the wild. This will be a 7-hr expedition which includes a sea plane ride, waders and a 2-mile hike. Lunch included. 24th May– Tramway up to Mount Roberts to appreciate Juneau and its coast from an aerial point of view. Maybe do some lite hiking and a bit of picnickey lunch up there. In the evening the first of the wedding celebrations will kick off with a beach party + bonfire. This is where everyone will get to meet and greet for the first time before the actual wedding. 25th May– Breakfast then a 10 a.m meet up for a hike with the rest of the wedding party to Mendenhall Lake and glacier. Will be a 4-hr hike round trip, so Siddhu tells me. Hopefully will be back at the hotel in the afternoon with enough time for me to get ready for the bridal shower dinner later that evening which is taking place at Juneau’s only Indian restaurant, just a short walk from the hotel. 26th May– Free and easy day. Maybe have a late breakfast depending on what time I wake up from the party the night before. Maybe stroll about the town and pick up souvenirs, and get my hair done for the wedding reception and dinner later in the evening. I hear there will be doggies attending … I am super happy to hear this. 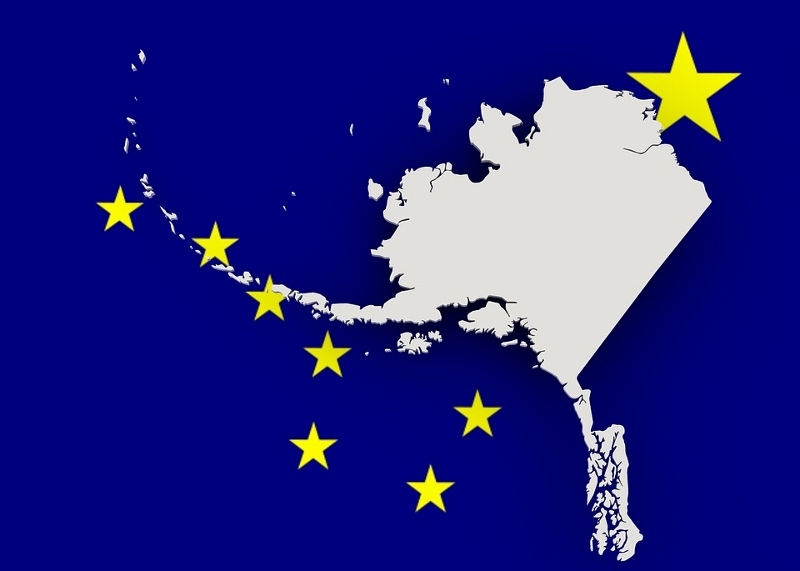 27th May– Breakfast, pack-up and fly out of Juneau by 13:00 hrs and land in Anchorage mid afternoon. Pick-up RV and attend instructional session with RV personnel. Drive about and stock up on provisions at local supermarket. Get excited and jump on the bed several times since it’s my first time in an RV, and try not to break anything. Drive to Girdwood along the Seward Highway and camp for the first night, marvelling at all that natural beauty. In the morning if we have time perhaps we will take the tramway up to Alyeska Resort – apparently it’s got the best views of the sound from up there. I hope it’s not too high up … don’t want to suffer altitude sickness again like I did in Switzerland, where I almost passed out. 28th – 29th May – Drive north towards Denali National Park and camp at Savage River for 2 nights. Take the Denali Backcountry bus tour to mile 66 and end up at the Eielson Visitor Center in the hopes of seeing Mt Mckinley and some wildlife in the park. Previous travelers have said spotting wildlife in the park is a guarantee and Sid has advised us to pack bear spray since we will be hiking here and there. Below is a link to a video on what to expect when visiting/staying in Denali NP, courtesy of Gabriel Traveler – he has some lovely travel videos from all over the world. I hope to be making my very own video on this Alaska trip … my first ever video documentary on one of my travels. It’s going to be an epic holiday! 30th May – Drive to Fairbanks and hopefully stop in at North Pole long enough to post my letters and wishlists to Santa. Camp somewhere for the night and pray like hell we see the northern lights. Also planning on visiting the Large Animal Research Station (LARS) to see bison, reindeer and musk ox. 31st May– Get onto the Denali Highway and hopefully be amazed my the beauty and splendour of the vast wilderness. Hopefully the road won’t be jammed with tourists. Camp by the side of the road when tired of driving. 1st June – Keep driving until we reach a new spot to camp along the Denali highway. Become sad in the realization at our holiday is coming to an end and wish we had struck the lottery so we could quit our jobs and travel full-time. 2nd June – Drive and drive and take as much of Alaska in until we reach Anchorage and return the RV. Take taxi to airport and fly out to Seattle. Arrive at 22:00 hrs and crawl into airport hotel accommodation. Curse a little and ask why I packed so much in the first place … did I really need 4 outfits and 2 pairs of high heel shoes to begin with? 3rd June – Holiday over. Fly back to Dublin. Cry self to sleep. So some plans have changed, understandably, as we get closer to the date. Our flight times have been altered, not by choice but for whatever reason the airline has given. Most of our earlier plans as stated above remains the same. The biggest change would be the route we take out of Anchorage. By sheer accident R. discovered that while we will be allowed to camp in Denali at the end of May, the Eielson Visitor Center won’t be open until the 1st of June. There ain’t no way I am rocking up there with my national parks passport book only to be denied a stamp because we got our dates wrong. So we called up the camp ground people and reshuffled our dates. We will now arrive in Denali on the 31st May and be ready for our shuttle bus tour smack bang on the 1st of June. Changing up our arrival dates to the national park means the entire loop of our intended route changes too. Instead of turning northwest towards Talkeetna, we will turn northeast towards Gakona. If weather permits we will do the Denali Highway. If not we will head directly to Fairbanks, seeing as which the Denali Highway is not a paved road. However, will confer with Siddhu and if he says the Denali Highway is well worth the effort then we will do it regardless of weather conditions, coz he knows best. By the way, I have been told my package from Colorpop has arrived in Juneau, yaaaay! I am super happy coz I love Colorpop but it is such a hassle getting hold of their products since they only exist as an online store. And don’t even think about getting the stuff sent Transatlantic … the import duties is enough to put you off buying stuff from America forever. I bought all my wedding dinner outfits from an online store in India and the postal service hit me with a EUR 180 import tax bill … wtf?!! Even the delivery guy felt my pain. So this time I sent my package to Sid’s house and will simply pick it up when I get to Juneau. Anyway, about 95% of the preparations are set. We have been planning this trip for months now and the time is practically here, just over 4 weeks to go. R. just needs a new pair of hiking boots and a couple thermal under layers of clothes. Everything I plan on bringing with me to Alaska I have been placing in a cardboard box at the end of my bed, so when it is time to pack I will be ready and not have to tear the house apart looking for that one thing that I forgot. I have printed out all our booking papers and e-tickets well in advance – Siddhu has always told me, preparation is 60% of the work done. Now all I need to do is collate all that information into an easy to read trip itinerary and we’re good to go. I got my new residency permit sorted out earlier this week (coz my card actually expires when we’re in Alaska) … one less thing to be thinking about. I hate fussy holidays and I avoid sticky situations as much as I can … so planning and prepping is the best way forward, especially since where we’re going this time is going to be quite remote and services won’t always be available. And if they are, it will cost 4x the regular price. I have also been doing a lot of reading and watching new material on Youtube about travelling, hiking and preparing for a trip like this one since it is our first time. And we are by no means seasoned campers/nature buffs, so I want to be as prepared as possible … to learn what to expect when we are out in the middle of nowhere. Also, I think it’s a good idea to AVOID getting into a sticky situation out of sheer stupidity and ignorance by learning from other people. Videos like the ones below have really really helped us prepare so we can travel smart for maximum enjoyment of our time in Alaska. These guys who make the LoLoHo series of travel videos are amazing and I am just loving their instructional vids; I have learned so much just by watching them. If you like their content please subscribe. Thank you #LoLoHo for allowing me to link a couple of your impressive videos on my blog! Very excited, a bit nervous and cannot wait to be back in America. Excited about the wedding, about meeting everyone I haven’t seen in a good few years, about seeing bears (maybe whales, if we are lucky), being in nature and generally about doing another roadtrip with the best travel buddy a girl could hope for … the boyfriend, RS. **Special thanks to Gabriel Traveler and Sean & Kristy Michael of LoLoHo for giving me permission to share and link your videos on my blog. You can find all their travel videos on Youtube by clicking the links on the videos above.